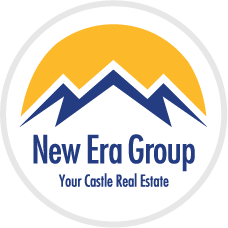 Are you looking to relocate to the Denver area (with children)? Or are you already living there and have children who are nearly school-age? Doing some research on the Denver public schools will help you decide which school will best meet your child's needs and provide him or her with the best overall educational experience. It can also give you a chance to see how the school your child already attends matches up to other schools in the area. One place to begin this research process is the Denver Public Schools website. Located at www.dpsk12.org, this site allows parents and other interested parties to find survey information and rankings on each school. The categories include parent and teacher satisfaction rankings, test scores and improvement statistics, enrollment information, principal and faculty information, and special features of each particular school. The site also shows a map of district boundaries, so you can find out which public school your child should be attending and look up specifics on it. You can also narrow your search to include only elementary, middle, or high schools, whichever your situation should require. 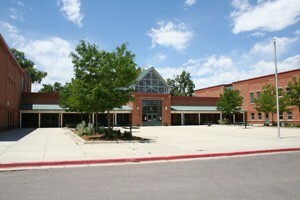 One of the most highly ranked schools according to survey data is Slavens Middle School. The school has a 93% parent satisfaction rating and a 96% attendance rating. This school also has a 1% suspension rate, one of the lowest in the state. Slavens was honored as one of eight schools in 2001 as a National School of Character. The students there also perform extremely well on the Colorado Student Assessment Program tests. Slavens has a high stability rating as well, meaning that a large percentage of students attend the school for three or more consecutive years, contributing to a stable student body. Another school that shows up on a number of high ratings lists is John Kennedy High School. This school has an 85% parent satisfaction rating and a high percentage of teachers with over 11 years of experience, contributing to its ability to educate students for success. John Kennedy also has a 1% dropout rate and a 60% stability rate, contributing to a dedicated and stable student body. While John Kennedy's CASP test scores are not as high as some other schools in the state, the attendance rate of students is high and the graduation rate is among the highest of all Denver public schools. The Denver elementary schools are also to be commended, as nearly all of the 2004 awardees of the Denver Teachers' Award were elementary school teachers. This award honors teachers who play a vital role in their school as well as their community. These teachers came from a variety of schools, including University Park, Dora Moore, Cory and Maxwell schools. These schools also rank fairly highly in all categories on the Denver public schools website. These are only a few examples of the public school opportunities that Denver has to offer. The website has a plethora of information regarding the aforementioned statistics as well as much other information. Further contact information is available on the website if you should need to contact a specific principal, school or superintendent.